يقع Hotel Hibiscus في Papetoai, جزيرة موريا, هو خيار شائع بين المسافرين. يسهل الوصول إلى هذا الفندق ذو 2 نجوم من المطار، فهو يبعد عنه مسافة 30. Km فقط. إن سهولة الوصول من الفندق إلى المعالم السياحية الشهيرة الكثيرة في المدينة كمثل Moorea Dolphin Center, خليج اوبونوهو, خليج كوك هو استثنائي بحد ذاته. يعمل Hotel Hibiscus على ضمان إقامة مريحة لضيوفه من خلال خدماته الممتازة وحسن ضيافته. يمكن لضيوف الفندق الاستمتاع بالميزات التالية على أرض الفندق: واي فاي مجاني في جميع الغرف, واي فاي في المناطق العامة, صف السيارات, رعاية أطفال, غرفة عائلية . استمتع بوسائل الراحة الراقية في الغرف أثناء إقامتك هنا. بعض الغرف تتضمن تلفزيون بشاشة مسطحة, مكيف هواء, مكتب, ميني بار, شرفة/ تراس لمساعدتك على استعادة طاقتك بعد يوم طويل. يقدم الفندق العديد من الفرص للاستجمام كمثل شاطئ خاص, حمام سباحة خارجي, غوص, صيد السمك, حديقة. مهما كانت أسبابك لزيارة جزيرة موريا، فإن Hotel Hibiscus هو الخيار الأفضل لإقامة مثيرة وممتعة. We were on Tahiti went we decided to spend a weekend at Moorea. We had less choice since we were last minute. Hibiscus was recommended by people in our group. We paid the price since nothing much was available and we didn’t feel the AirBnB available. Being on a trip around the world, we visited many many hotels and for the price, this one was disappointing. The location is great, but minimal service is provided (no welcome drink, no showing you to the room, etc.) and they have a firewall on their WiFi that render it useless. 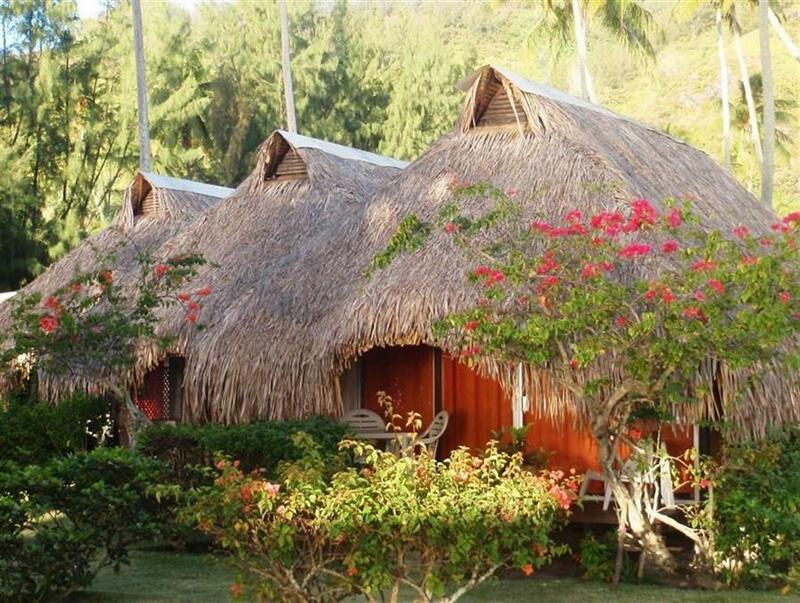 We did many island in Polynesia and the excuse of being on an island is not acceptable, especially at this price. So to sum up, we had hotel at 20$ that were way better than this one at 300$. Location isn’t everything. If you have a choice, pick another hotel, you may be more in luck than us. This place has all the facilities a person needs within walking distance. Several restaurants, the best sandwich hut, shopping, groceries, diving. easy access for snorkel, swimming. 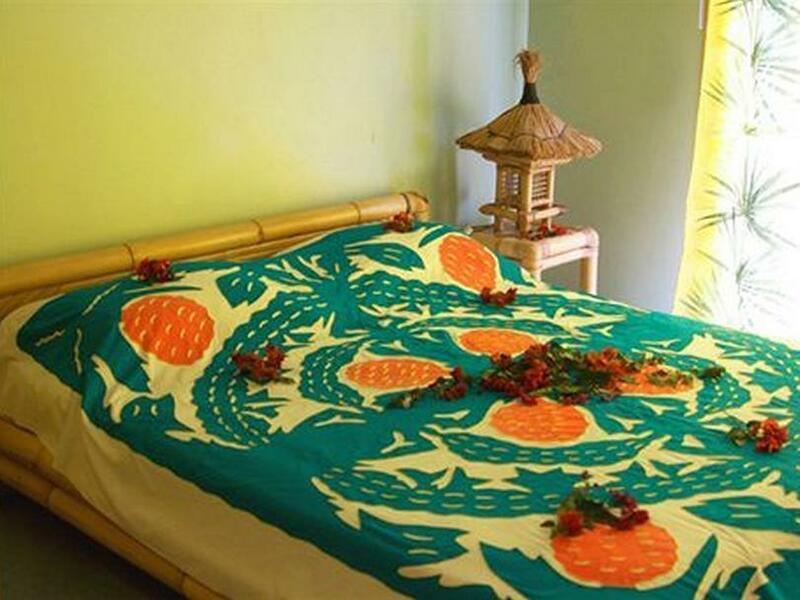 Excellent sunsets, views, accommodating staff, quiet location, next to a public access beach. The on-site restaurant serves excellent food. Just stayed in one of the lagoon view bungalows and had a lovely time. The staff are terrific and the grounds and the cabins are well maintained. Petite Village shops are a five minute walk away and it is easy to get to by taking the ferry up from the ferry terminal. Staff were amazing and friendly and helpful. 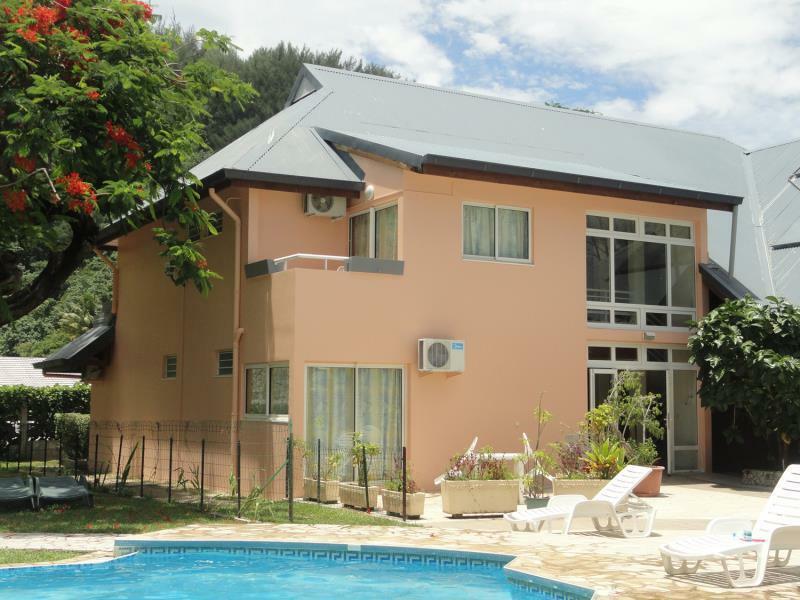 Great location near location shopping mall and few cafes. Lovely beach at the back and snorkeling gear is complimentary at the hotel to view the lagoon life. Great restaurant on site, but plenty of nice food and restaurant close by as well. Our two year old loved running around the large garden spaces and playing at the beach! A few mosquitoes around, but coils and nets provided for comfort. Nice little kitchen inside the room too. Lovely place all in all. Great value for money! Make sure you get on Franky Franck's Island Tour! 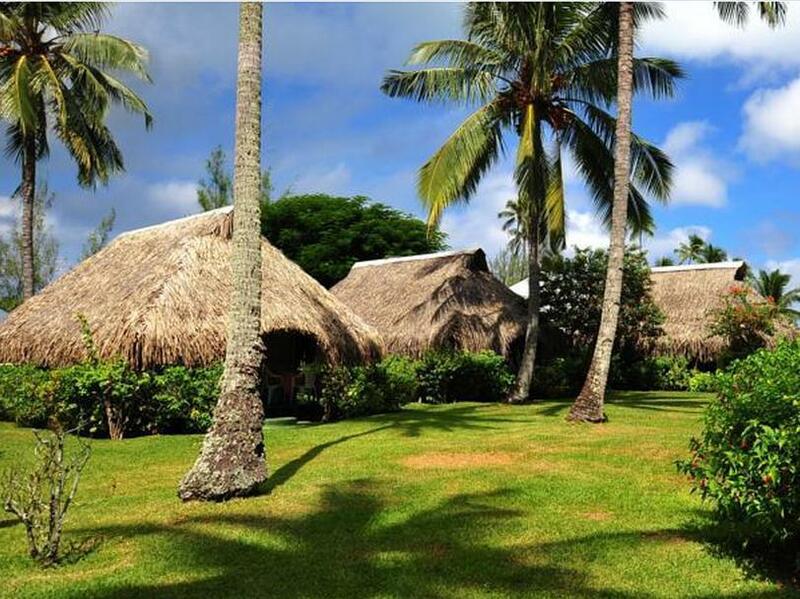 Nice, small hotel with individual bungalows. Bungalows inlude small refrigerator and two-burner hot plate. Very good restaurant on the premises. WiFi is free. Supportive and helpful staff. The hotel is easy walking distance to a petit village. Itt is very petit but there are several cafes and two markets, in addition to the ubiqutous pearl shops and "artisanats." French Polynesia is expensive so we felt we got value for our money. Bungalow number 4 was comfortable and quiet with a superb view of the lagoon. Restaurant was very good with a good selection on the menu. We would be more than happy to return. Paradise. Really nice hotel, which is located on a beautiful beach. Food in the restaurant is exceptionally good. Staff is friendly and helpful. The hotel is close to a small shopping area with grocery store, couple restaurants and gift shops. We really enjoyed stay there, would definitely recommend this hotel. If you are looking for a beautiful spot with no amenities but almost total isolation this is a good place to get it. The staff was very friendly and the view was great but the grounds were a bit neglected, the room had fixed temperature AC that didn't get cool enough and no TV or telephone, if you are on a budget and want to totally disconnect it is a beautiful place to stay. Absolutely lovely! The hotel looks a tad sketchy from the outside but once past the entrance, you notice the beautiful gardens and ammenities. The restaurant has a lovely view, te beach is stunning and the bungalows are confortable and luxuriously decorated with fresh flowers in arrival. A great stay!! The Staff was VERY friendly and helpful , always assisting with bookings , infos, or transport etc. Hotel is right at the beach, but the beach is not the romantic one that you would expect on Moorea Supermarket close by, also Dive center and scooter rental. Our air conditioner broke and it took two days to fix. We were provided another room that was smaller and upstairs. We had to keep bringing things up and down which was a great inconvenience. We had airconditioned but no view room with very basic sit out area and furniture. However, hotel has nice pool even though it backs onto a sandy beach and lagoon. It is also only a couple of hundred meters from Le Petite Village, with supermarket, bars, restaurants, pearl shops and servo centre. On the down side, it is on the other side of Moorea Island to ferry terminus and airport and taxi ride is about $50aud. There is a fairly large, associated restaurant right on the waters edge with brilliant sunset/lagoon views, but can not rate food as we did not eat there. Evidence that a downturn in tourist numbers and spending has made upkeep and maintenance difficult recently. No phone, tv, radio or dancing girls in our room. my husband and i loved this hotel! the staff was very kind and helpful, and the sunset restaurant was fantastic. there was a market within walking distance, as well as 4 other places to eat if you chose to. we chose a bungalow instead of the air conditioned room we reserved on agoda. the only bungalow that was left was #6 which unfortunately is right next to the restaurant ( very noisy into the night) and a limited view of the lagoon, which we were still charged the lagoon view price for. but still much better then being in the a/c room which we did not care for. 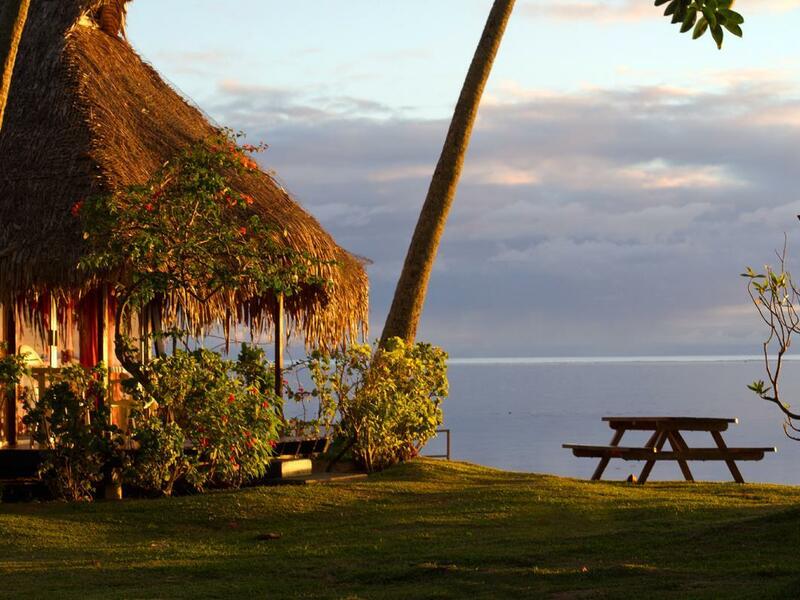 Nous avons été extrêmement déçus par l’hôtel Hibiscus de Moorea. Nous avions réservé un bungalow avec vue sur le lagon. La vue partielle, sur le côté, était en partie bouchée par les bâches et les véhicules des travaux en cours. Le restaurant qui était un des critères de notre réservation était fermé, sans que nous ayons été prévenus, la terrasse sur mer était inaccessible car en travaux. Aucun petit déjeuner n'était proposé. Le bruit des travaux nous a gêné. La direction à laquelle nous avons fait part de notre mécontentement s'est montrée particulièrement désagréable et ne nous a proposé aucune compensation alors que des bungalows mieux placés étaient disponibles. Hôtel très agréable et très bien situé. Belle plage et belle petite piscine. Superbe hotel classe 2 etoiles mais qui merite 3 etoiles et 3 belles etoiles Super accueil Bungalows en tres bon etat spacieux bonne literie Le tout dans un beau parc fleuri et qq bungalows vu sur mer Je prepare mes valises pour y retourner !!! Tres content de mon séjour, hotel choisi pour son emplacement géographique, pour me rapprocher du centre de plongée scubapiti car la route est encore en mauvais état surtout en scooter.